The Indiana Senate GOP caucus voted Monday to make Sen. Rod Bray (R-Martinsville) the new Senate President Pro Tem. Bray will replace current leader Sen. David Long (R-Fort Wayne), who will retire this fall. When Long announced his impending retirement earlier this year, he said he wanted his caucus to choose a new leader early, to give him time to mentor his replacement. That vote came Monday as the caucus – behind closed doors – chose Rod Bray over Sen. Travis Holdman (R-Markle). The vote wasn’t unanimous, but Bray says he’s confident the caucus will be united going forward. Bray says there won’t be huge changes as he assumes leadership. “I’ll be thoughtful in my leadership to try and give everybody a voice, they have the opportunity to have their issues heard within the caucus,” Bray says. Joining Bray in the leadership bid was Sen. Mark Messmer (R-Jasper), who will become the Majority Floor Leader – Bray’s current position. Messmer says he'll work closely with Bray to lead the caucus. That includes budget negotiations in the 2019 session with House Republicans, a chamber in which Messmer spent six years prior to his election to the Senate in 2014. "Knowing the personalities well, I intend to be a key member of those budget negotiations," Messmer says. Outgoing Senate leader David Long praised Bray, calling him "a man of the highest integrity and character." 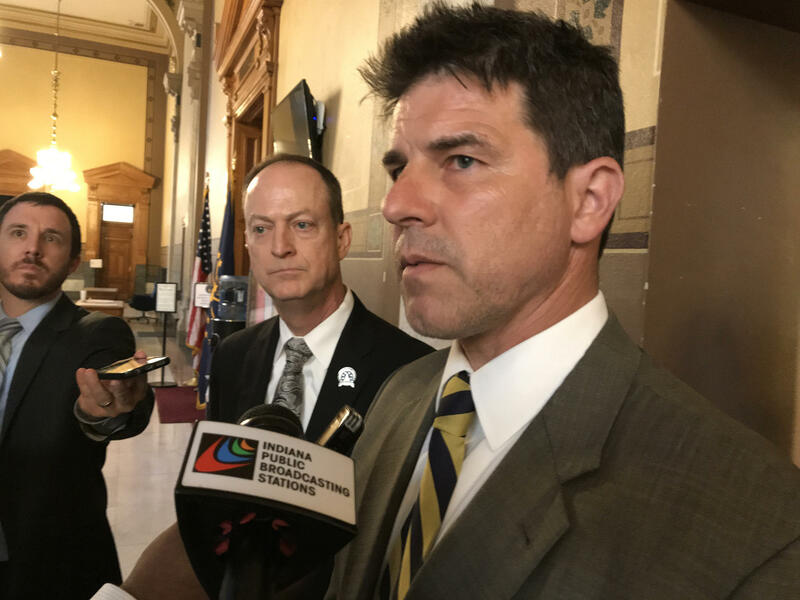 Senate Democratic Leader Tim Lanane (D-Anderson) says he looks forward to working with Bray, who he calls a "reasonable, even tempered individual" and a "strong leader." Bray's ascendance won't be official until after November's election, when lawmakers will meet for their "Organization Day." The full Senate must vote before Bray becomes the new President Pro Tem.